Regular readers here know I take a certain pleasure in reporting on the monthly Sussex County GOP meetings. Over the years I have reported, what I have seen first person, at these Sussex meetings. I have seen what I believe to be the end of the Sussex GOP based on the fractionated environment. I have witnessed, and yes I have participated in a nearly steady atmosphere of arguing, shouting, and even some name calling. One would never know these people are in the same party, or that they are working towards the same goals. And of course there is a good reason for that. But this past Thursday night I attended a monthly GOP meeting like I had never seen, or been a part of, the Kent County GOP Committee held its meeting at Grottos in Dover. Let me say, this alone gets mad respect. Having it at this public location allows the attendees to have dinner prior to, and while the meeting is held. And believe it or not, there were even some adult beverages enjoyed by some. Not to mention the event also supports a business in the community. The meeting was a combination of the regular meeting, and a candidate meet and greet for Kent County and state-wide candidates. I will touch on this in just a bit, but let me first describe the meeting, and what I feel makes it such a success. First off, we have to recognize the Chairman Hank McCann, and his wife Bonnie, they seem to be the driving force, as it should be. The meeting is fast paced, and organized. Now this may have had to do with the fact they needed time for the candidates to speak, but I get the sense there is no wasting of time in a McCann run meeting. If I could use only one word to describe this meeting, it would be “FUN”. They held drawings for simple little door prizes which the people sat anxiously waiting for the number to be read hoping to win. My hat is off to the McCanns, and to the Kent County Committee for holding a meeting to inform, while having fun. So now to the candidate meet and greet. Here is the entire list in the order of appearance. 33rd Representative District: Charlie Postal, Morgan Hudson, and a rumor of a possible third Republican primary candidate for the seat currently held by Jack Peterman. 30th Representative District: Bobby Outten. 44th Representative District: Lyndon Yearick. 14th Senatorial District: Carl Pace. While I am extremely concerned for the future of the Delaware GOP based on my experiences in Sussex, there is hope with people like Hank McCann and his Kent County Committee. I would suggest that anyone who has the time, take advantage and join the Kent GOP at your soonest opportunity, it will be a night to remember. 7 Comments on "A Monthly GOP Meeting Like I have Never Seen"
Is the DE GOP running a candidate for Congress this year, or are they sitting this one out? Last entry above, Hans Reigel . Admittedly, I don’t follow state politics that closely, but doesn’t the GOP hold a lot more state and local offices in Sussex than in Kent? 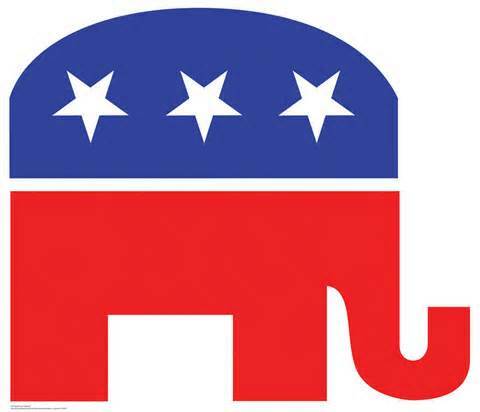 Will the GOP pick-up seats in Kent in November? Will mismanaged Sussex lose GOP seats? The Republican Party has made itself irrelevant statewide. It’s not the party, it’s the people that wear the Republican label that make the label relevant. 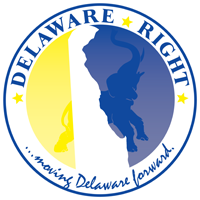 In a national context, Delaware itself is irrelevant.